Kyle Burr describes his experience working with TechnoServe in Swaziland to improve the livelihoods of vulnerable households. 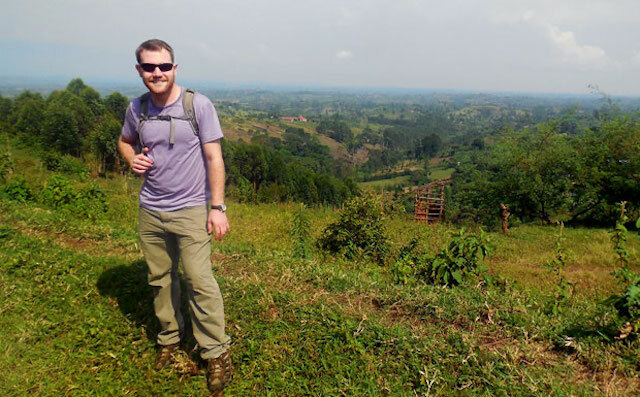 Kyle Burr is a consultant to The Joseph Initiative Ltd., a Uganda-based agricultural trading and processing company that connects smallholder farmers to high-value regional markets. He participated in the TechnoServe Volunteer Consultant Program (now the TechnoServe Fellows Program) in Swaziland, and will be pursuing an MBA at the Kellogg School of Management at Northwestern University. As an undergraduate, I studied international relations and African studies at the University of Pennsylvania, where I focused on developmental economics and strategy. Upon graduating in 2009, I began working in public sector management consulting for Booz Allen Hamilton. While with BAH, I supported mostly defense and national security clients across the U.S. government. My team specialized in organizational strategy and change management, and many of my projects involved facilitating large-scale policy, procedural and technological transformation. I developed a specialization in foreign language program analysis and designed and led efforts to drive U.S. military diplomacy through deeper linguistic and cultural exchange. Q: How did you become involved with TechnoServe? I first heard about TechnoServe through a colleague at BAH who had taken a leave of absence in order to serve as a Volunteer Consultant in East Africa for six months. Ever since my time at Penn, I had always had a desire to travel to and work in Africa, but the opportunity never transpired. I could not have asked for a better experience with BAH, but the time was right for me both personally and professionally to make a change, and TechnoServe seemed like the perfect conduit through which to steer my career in the direction of something I was passionate about. So I quit my job and three weeks later was on a plane to the diminutive, landlocked Kingdom of Swaziland. Q: What did you do during your time at TechnoServe? Over the course of eight months, I supported two programs in the TechnoServe office in Swaziland: the PACT PEPFAR Program and the Community-Based Livelihoods Development (CBLD) Program. Through the PACT PEPFAR engagement, TechnoServe delivered training to help partner organizations manage and promote effective, sustainable economic strengthening activities for the families of orphans and vulnerable children. My particular project involved conducting a needs assessment of four partner non-governmental organizations and delivering a transition strategy for sustaining best practices imparted by TechnoServe. 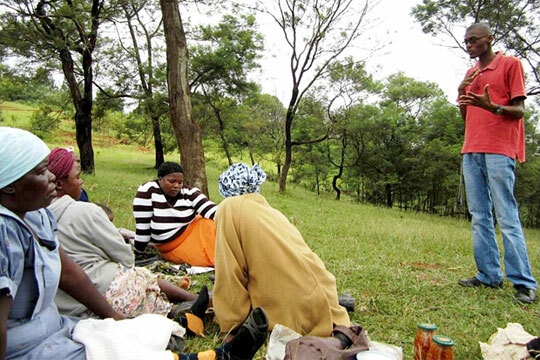 Acting in partnership with FHI 360, the CBLD program is a PEPFAR-funded initiative designed to improve the livelihood capabilities of vulnerable households, protect the rights of women and children, and strengthen the capacity of organizations to promote social and economic well-being. In my role with the program, I conducted an in-depth analysis of Swaziland's cotton industry and presented recommendations for value addition, process improvement and greater income generation to the Swaziland Cotton Board and a local commercial bank. TechnoServe business advisor Musa Maseko delivers financial literacy training to a group of rural Swazi women entrepreneurs participating in the PACT PEPFAR Program. Q: What did you learn from the experience? My experience with TechnoServe exposed me to both the challenges and opportunities of doing business in developing countries like Swaziland. Not only did I learn a tremendous amount about agriculture and operating a nonprofit organization, I also gained insight into the determination, innovation and ingenuity of entrepreneurs who have the ability to achieve so much once their potential is unlocked. Q: How has your time with TechnoServe shaped your path for the future? Deciding to volunteer with TechnoServe was the best decision I have ever made. Thanks to the experience I gained on the ground working with smallholder farmers and entrepreneurs in Swaziland, I was able to secure a position with a Uganda-based company called The Joseph Initiative, Ltd. (JI). The JI buys and sells larger quantities of grains and pulses and has a social mission to improve the livelihoods of smallholder farmers through linkages to high-value markets, access to finance and agricultural extension services. Moreover, as a result of both of these experiences, I was able to secure a scholarship to attend the Kellogg School of Management at Northwestern University, where I plan to focus on social enterprise and entrepreneurship in sub-Saharan Africa.